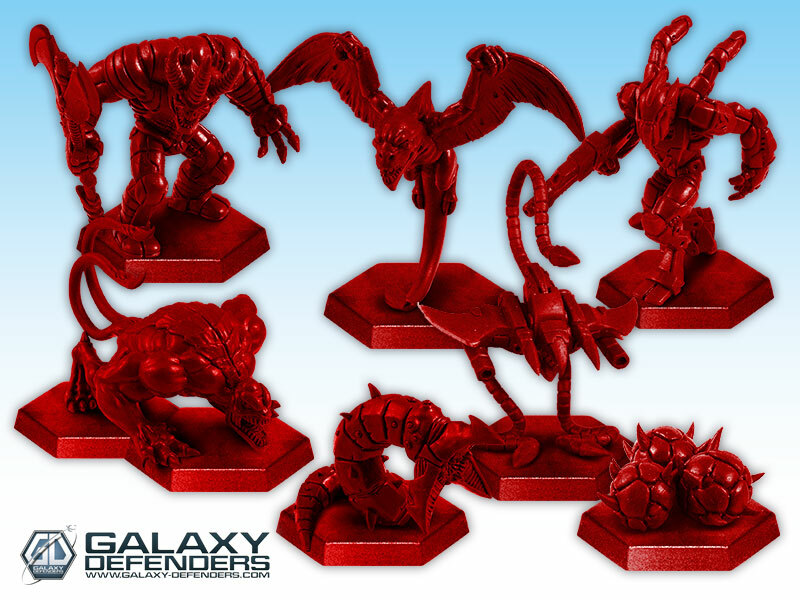 Face new dreadful alien invaders in this new expansion for Galaxy Defenders! 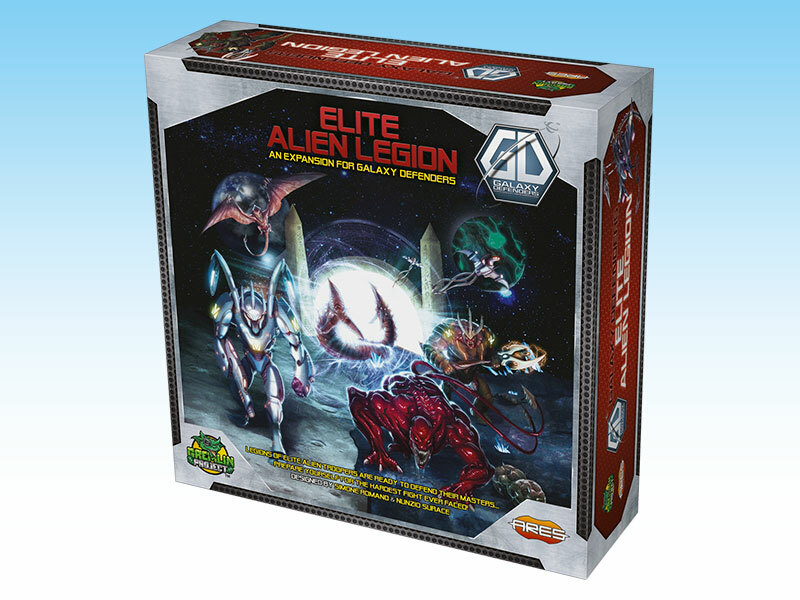 The Elite Alien Legion includes the most powerful version (“elite”) of 7 different alien creatures - lethal Xeno-Delta, insidious Diggers, creepy Flying Critters, brutal Xeno-Gamma, ferocious Crimson Nightmares, relentless Sentinels... and the horrible breed of the Alien Queen, Alien Eggs! All these creatures - first featured in Operation Strikeback and Extinction protocol - has been redesigned with a unique, enhanced artificial intelligence and new, powerful skills. The Elite Alien Legion can be integrated into any Galaxy Defenders mission to enhance the challenge. You can use these new aliens both with the Galaxy Defenders Core Set and the Operation Strikeback and Extinction Protocol expansions: Replace an entire color rank of aliens in a mission, or simply follow the rules included in this set to level up your campaign and scenarios! A total of 20 aliens are included, each of them a high quality, detailed plastic figure. Each different alien is an unique opponent, accompanied by its own Artificial Intelligence card that details its behavior on the battlefield.